FTC offers this fixture set for securely locating samples under tension that are in the form of thin wires, filaments or other extruded thin strands. 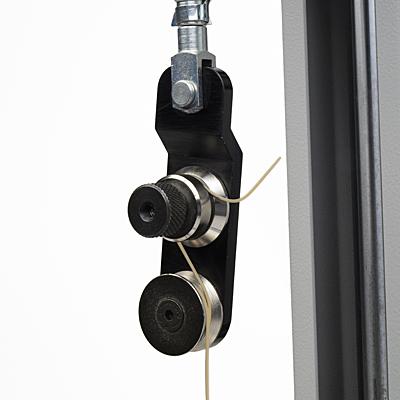 The wire grip is designed to locate filament samples such as spaghetti, confectionery or other extruded shapes. 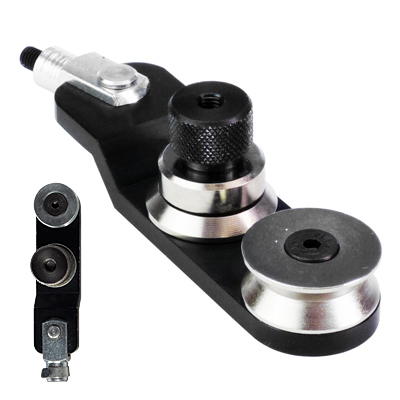 It is equipped with a grooved mandrel and precision machined swivel plate, which are designed to ensure centre break and specimen alignment when force is applied. A ball socket mounting screw in the grip ensures correct alignment between both upper and lower fixtures. Please use with safety goggles or eye protection.